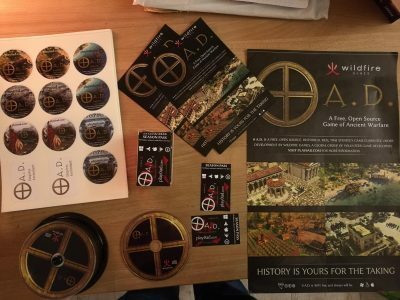 Wildfire Games, an international group of volunteer game developers, is happy to announce the re-release of 0 A.D. Alpha 23 “Ken Wood”, the twenty-third alpha version of 0 A.D., a free, open-source real-time strategy game of ancient warfare. This version is a maintenance release. Blocking bugs were fixed and security and legal issues were addressed. The gameplay remained untouched, and both versions of Alpha 23 are multiplayer-compatible; however we advise you to upgrade to benefit from the following fixes. The team wishes to apologize for the delay in re-releasing. We have addressed other issues whenever we couldn’t make more progresses on the game itself, so the re-release has not been a completely negative procedure. Indie of the Year 2017 – We need you again! We are happy to announce that we made it in the top 100 of Indie of the Year 2017! In this competition celebrating the independent games and mods created by professionals and hobbyists alike, we made it to the second round and you can send your votes until December 21st. Please vote for 0 A.D. as 2017 Indie of the Year! It is this time of the year and IndieDB once again organizes the Indie of the Year Awards, a competition celebrating the independent games and mods created by professionals and hobbyists alike. Dear members of the community, it’s been half a year since I took the lead of 0 A.D. (time flies so fast!) and I would like to give you some news of the team and tell you what we’ve been up to.